The following materials and resources are offered for general informational purposes and come from a variety of sources. They are not intended to provide legal, tax or financial advice. Please see an appropriate professional for personal advice and counsel. 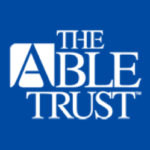 The Able Trust, also known as the Florida Endowment Foundation for Vocational Rehabilitation, is a 501(c)(3) public-private partnership foundation established by the Florida Legislature in 1990. Its mission is to be a key leader in providing Floridians with disabilities opportunities for successful employment. The Able Trust youth programs provide career development and transition to many students with disabilities, helping to reduce the dropout rate and prepare young adults for life beyond high school. The Administration on Community Living is a federal agency that funds programs, research projects, services and supports for older adults and persons with disabilities. Their website contains resources and materials of best practices in service delivery. 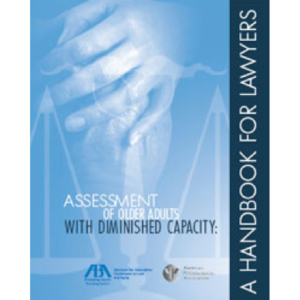 This handbook was developed by the American Bar Association and the American Psychiatric Association as a guide for psychologists who evaluate the decision-making capacity of older adults. This handbook for lawyers was developed by the American Bar Association and the American Psychiatric Association to help lawyers who work with clients who have diminished capacity. A free online course with information about the impact of employment on a person’s public benefits. For example, one training module is titled, Earning Wages While Receiving SSI and Medicaid. The course is offered by the National Disability Institute and the Florida Developmental Disabilities Council, Inc.
© 2018 Supporting Choices. All Rights Reserved.